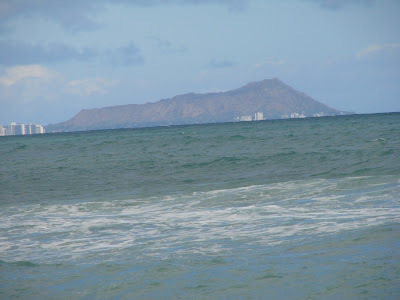 Since this is Hawaii I almost feel an obligation to see how many different photos of the iconic Diamond Head I can take. This one is zoomed in from White Plains beach out near Barber’s Point. White Plains beach is popular for body boarding and surfers and less crowded than many areas since it is a bit out of the way and less known. 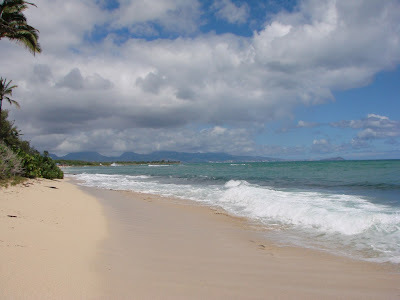 Here is a photo of a section of White Plains Beach which is located at Barbers Point near Kapolei. There was actually a pretty good crowed of people so I walked up a bit and around a curve to get a shot that makes it look like a complete private beach. Pretty nice place as there are good picnic areas, facilities and pretty empty areas a few minutes walk away. 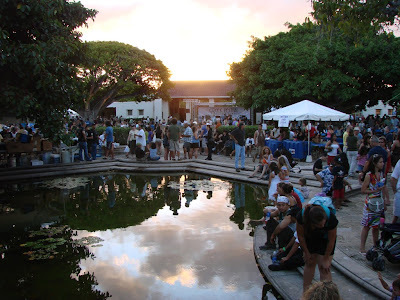 The sun sets at the Hawaii Greek Festival held over the weekend at McCoy Pavilion in Ala Moana Beach Park. This year decided to hit the festival near sunset since its been so hot. Turned out to be a good time as the lines for the Baklava, Gyros and other food items were pretty manageable and it wasn’t too hot. If you didn’t get a chance to go this year there is always next year.